Would Indigenous ownership of the Trans Mountain pipeline help build broader support and propel the embattled project over the finish line? That question should be seriously pondered in Ottawa today as a growing number of First Nations express interest in buying a stake in the pipeline that moves Alberta crude to the Pacific coast. But barriers to such an acquisition — such as the legal impasse surrounding the project’s expansion and potential effect of federal Bill C-69 — could stop such an idea in its tracks. On the opening day of the Indigenous Energy Summit, First Nations leaders, industry CEOs and provincial ministers discussed the merits and intricacies of Indigenous groups buying a piece of the project. “There are about four or five groups that have the same idea of ownership,” said Stephen Buffalo, CEO of the Indian Resource Council of Canada, which sponsored the event at the Tsuut’ina Nation. 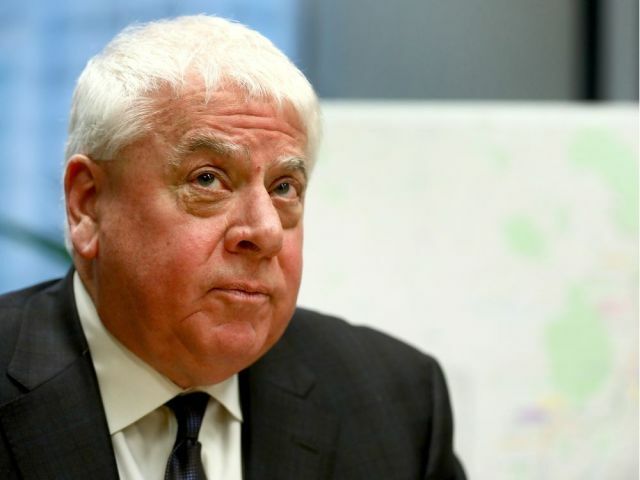 The council, which represents First Nations that have oil and gas production, is looking at potential business models that might make sense. The group is hoping to develop a plan that could be taken to Ottawa in the run-up to the federal election campaign later this year. The timing of this conversation is fortuitous, as pivotal decisions will soon be made. The Trudeau government bought Trans Mountain last year for $4.5 billion, but intends to sell it to the private sector at some point, likely once it’s built. However, the expansion has been stalled since the courts quashed the federal government’s approval of the project due to inadequate consultation with Indigenous communities, along with improper consideration of the project’s marine effects. Several groups have declared they’re interested in purchasing a stake, once Ottawa decides to unload it. Fort McKay First Nation Chief Jim Boucher, Athabasca Chipewyan First Nation Chief Allan Adam, Cheam First Nation Chief Ernie Crey and Chief Mike LeBourdais of the Whispering Pines First Nation in British Columbia have all voiced interest at various points. “I believe there will be a time when we all come together and a time when the coalition will hopefully be built,” said Delbert Wapass, former chief of the Thunderchild First Nation in Saskatchewan and chairman of Project Reconciliation, an initiative seeking to secure a majority share in the pipeline. Several First Nations leaders spoke Wednesday of the need to balance economic development and environmental protection, but are convinced they can reach that point. The venture could create meaningful jobs and economic opportunities, while providing Indigenous communities with a greater say over how the project is developed. Blood Tribe Chief Roy Fox said Bill C-69, “as it stands”, would discourage First Nations investment in future pipeline projects. 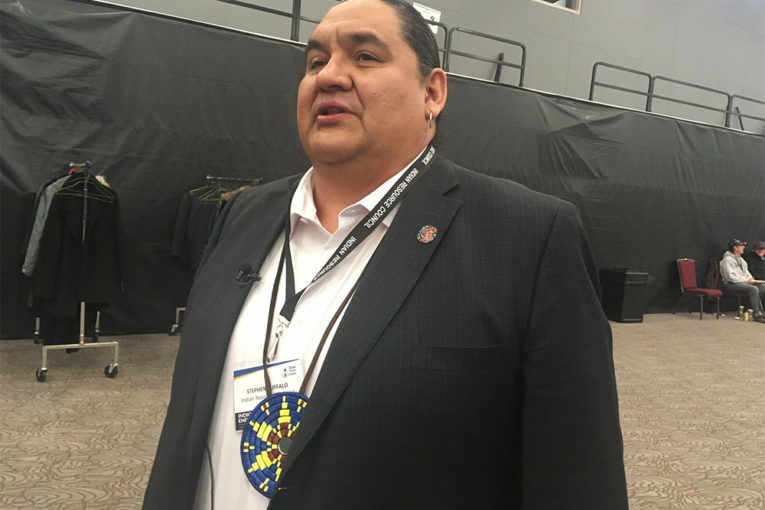 Chief Roy Fox of the Kainai/Blood Tribe, noted his First Nation already produces about 3,000 barrels of oil equivalent per day and might be interested in acquiring a piece of Trans Mountain, if the conditions were right. However, he said incoming federal legislation — including Bill C-69, which will oversee future pipeline projects in this country, and Bill C-48, which will institute an oil tanker moratorium off the northern B.C. coast — would derail such interest. Fox is concerned the legislation will block pipelines from being built and affect future oil development, something the energy sector and Notley government are also worried about. With almost six in 10 Canadians saying we have a national crisis over building oil pipelines, it’s up to Ottawa to ensure such obstacles are cleared in a proper fashion. Indigenous ownership in the project would be beneficial, allowing industry and governments to broaden support for the development, while First Nations would become decision-makers in the boardroom on a critical piece of energy infrastructure. “If First Nations . . . invested in Trans Mountain and took a stake, I think it sends a strong signal across Canada,” said Brian Schmidt, CEO of Tamarack Valley Energy, a junior oil and gas producer. “We can argue about how much equity, but I don’t think we can afford to argue about if there is going to be equity anymore,” added Questerre Energy CEO Michael Binnion. But several things need to happen soon for the concept to gain momentum. The project needs to get restarted. Consultations with First Nations affected by the Trans Mountain expansion must be properly conducted in the coming months. Ottawa must decide when it will sell the asset and should commit to making Indigenous ownership a reality. Speaking at the conference, Trans Mountain Corp. CEO Ian Anderson noted more work must be done to restart the pipeline expansion. At this point, there is no project to invest in. “I think there are some important questions to be to answered, in particular the who, the how and the when,” he said. Alberta Energy Minister Marg McCuaig-Boyd said the provincial government supports the concept and has pressed the federal government to listen to pitches from interested Indigenous groups. “Honestly, I think there is a bit of win there for the federal government,” she said. As the conference wound up Wednesday, potential ownership models were discussed, from First Nations raising capital to buy the entire project — or a piece of the pipeline — to government involvement through loan guarantees or direct financing. There’s still a lot of work to do and many questions to answer. It will require co-operation from all sides. Getting Trans Mountain built is critical to the country. The ownership behind it can be just as important to making it a true success.